Glossier, the ubiquitous millennial makeup brand, just dropped their first mascara. Called Lash Slick, the name is ode to the sleek and separated lashes that the formula promises. In a series of Instagram Stories posts, the brand says that they’ve been working on the idea of a mascara since 2016. After their founder, Emily Weiss got lash extensions and fell in love with the look, but didn’t want to shell out a bunch of money every couple months, Lash Slick was created in an attempt to mimic the results of that pricey beauty treatment. 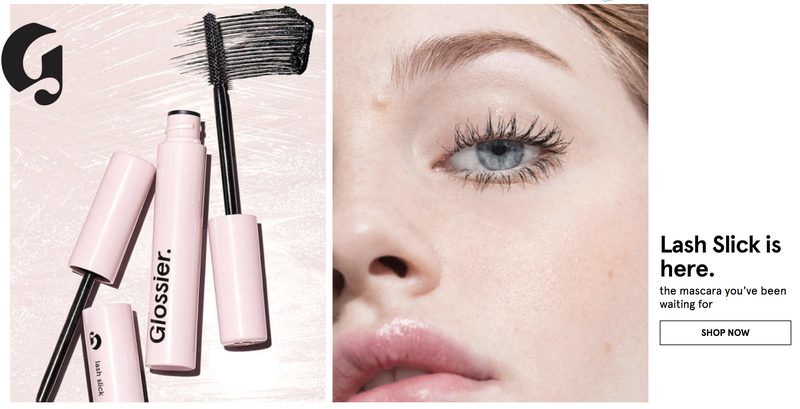 Glossier decided to take it upon themselves to recreate that look and feel with this new mascara, after “248 formulations, 18 months of product testing, and years of patience.” The formula promises lift and separation, like you get with extensions, with fibers built in. They added “film-form” technology that promises help in sculpting and curling lashes. The biggest thing they wanted was a water resistant formula that would last through the day, but be able to be easily removed with warm water. The Lash Slick wand is a spiky, comb-like brush that you’ll see in most lengthening mascaras. At $16, it’s not the most budget friendly option (I’ve been stuck on the NYX Worth It mascara since it came out), but it’s obviously not the $20+ tubes that we’re used to seeing from other brands, which is a nice change of pace.